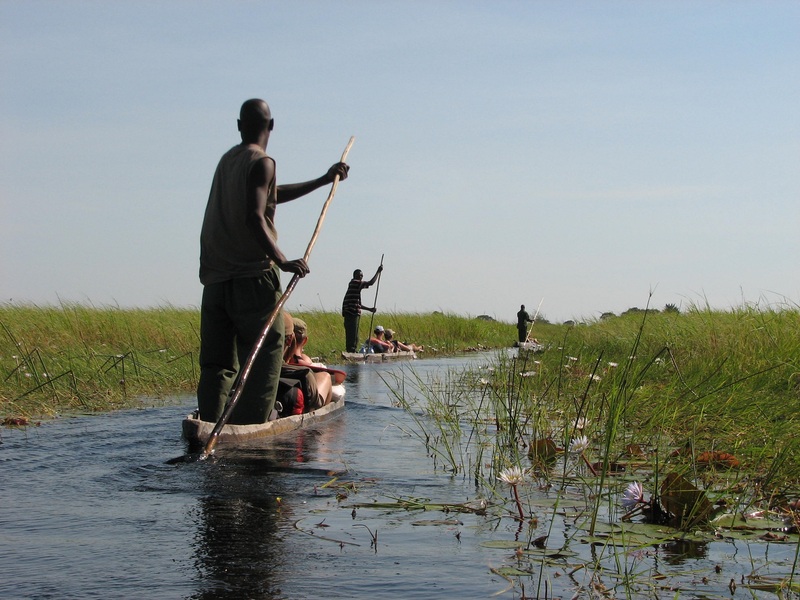 We have put together a selection of the best budget tour packages in Africa. Explore Africa and all the pleasures it has to offer, including eye-popping safaris that are tailor-made to ensure a breath-taking experience is had by all. 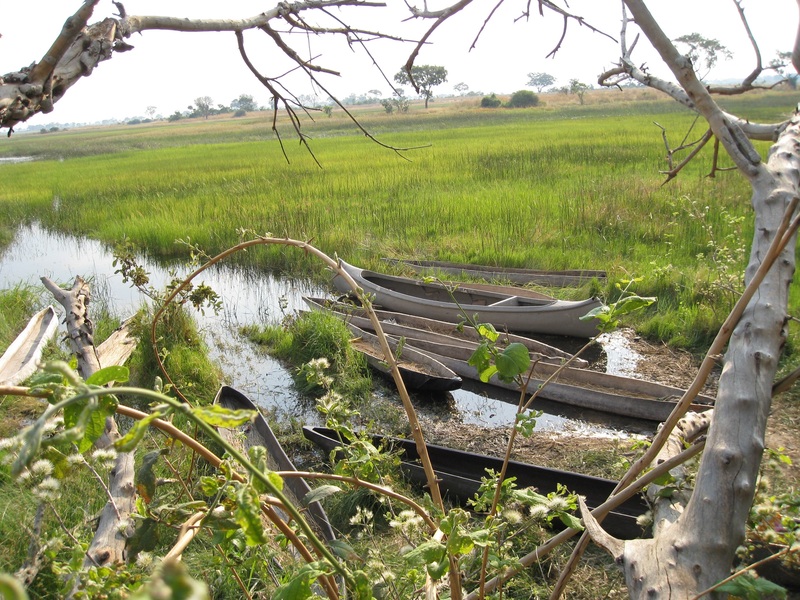 Experience the true African Dream by going on one of our African overland tours. View the Victoria Falls face on. Encounter warm clear blue waters, white sandy palm fringed beaches with the idyllic Islands of Zanzibar. Design your own itinerary, choose when and where you want to travel, select your favorite activities and travel with your friends, family, school mates, colleagues, sports team – the choice is yours! 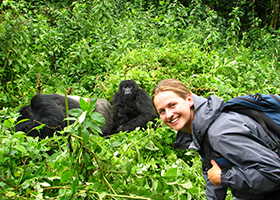 If you want a memorable trip, our Game & Gorilla Park Safari is perfect for you! 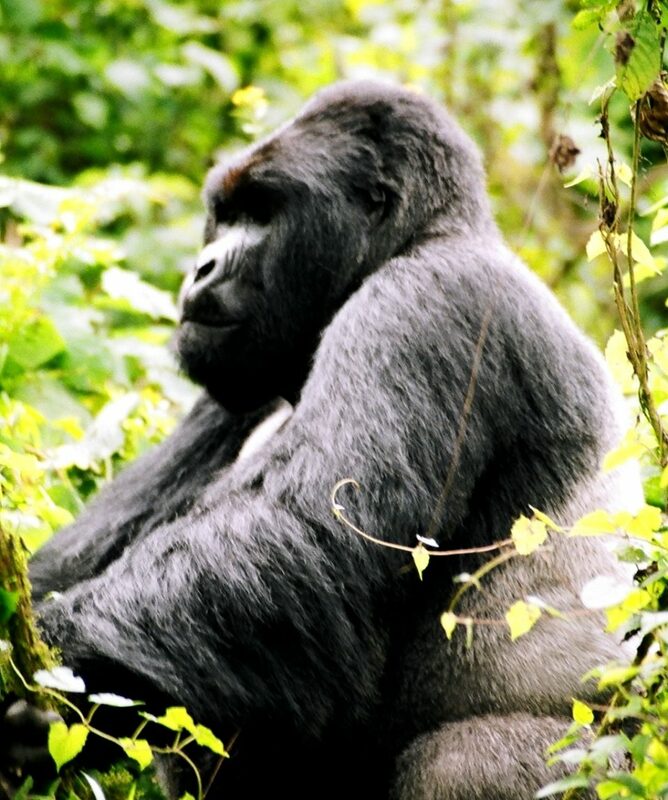 Mountain gorillas inhabit the rainforests of Uganda, the Democratic Republic of Congo and Rwanda on the high slopes of the Virunga Volcanoes and to track them and find them among the tangled vines and giant trees is a spine-tingling experience. Other highlights of this trip are the memorable countryside of Uganda, known as the “Pearl of Africa”, and searching for the “big five” in the Masai Mara. Lake Nakuru National Park is home to black and white rhino, flamingo and leopard, while Lake Naivasha harbours large pods of hippos. All about the Game & Gorilla Park Safari | 14 Days Overlanding from Nairobi to Nairobi. This trip begins in Nairobi, Kenya and travels to Uganda before heading back in to Kenya and ending in Nairobi. 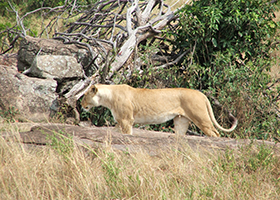 This trip departs from Nairobi early on Sunday morning. Should you wish to explore Nairobi ATC or your travel agent can assist you, in booking your activities as well as accommodation. However, costs due to earlier arrival, will be for your own account. *All ATC trips include an arrival airport transfer & pre-night accommodation in a dorm room. Please notify us should you not be using these so we can plan accordingly. Should you choose not to make use of these, or in the event that ATC were not updated with your arrival details, no refund will be paid for services not used. Leaving the hustle and bustle of Nairobi we climb the escarpment to our first stop, a viewpoint overlooking a section of the spectacular Great Rift Valley. Descending into the Rift Valley, we enter Masai land where these habitual pastoralists are often seen tending their cattle from the side of the road. We pass through the town of Narok, and continue our drive possibly getting a glimpse of some wildlife along the way. o our first stop, a viewpoint overlooking a section of the spectacular Great Rift Valley. Descending into the Rift Valley, we enter Masai land where these habitual pastoralists are often seen tending their cattle from the side of the road. We pass through the town of Narok, and continue our drive possibly getting a glimpse of some wildlife along the way. We arrive at our campsite, Acacia Camp in the late afternoon. Acacia Camp looks on to the Meguarra hills and the stream that meanders by on the bottom end forms a natural border to the Masai Mara National Reserve. After an early morning departure from Kampala we drive west into the depths of Uganda to our base at the tranquil Lake Bunyoni. 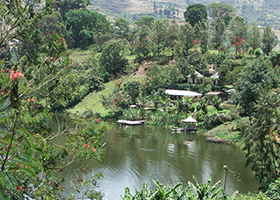 Lake Bunyoni, the deepest Crater Lake in Africa and home to a large and varied number of beautiful birds, is the base from which the optional Gorilla trek takes place. Dependant on where trekking permits are available, we trek in the Magahinga or Bwindi National Parks in Uganda, the Virunga National Park in the Democratic Republic of Congo, or the Ruhengeri National Park in Rwanda. The prices of trekking permits fluctuate and may change without prior notice – currently they are priced from US$600. 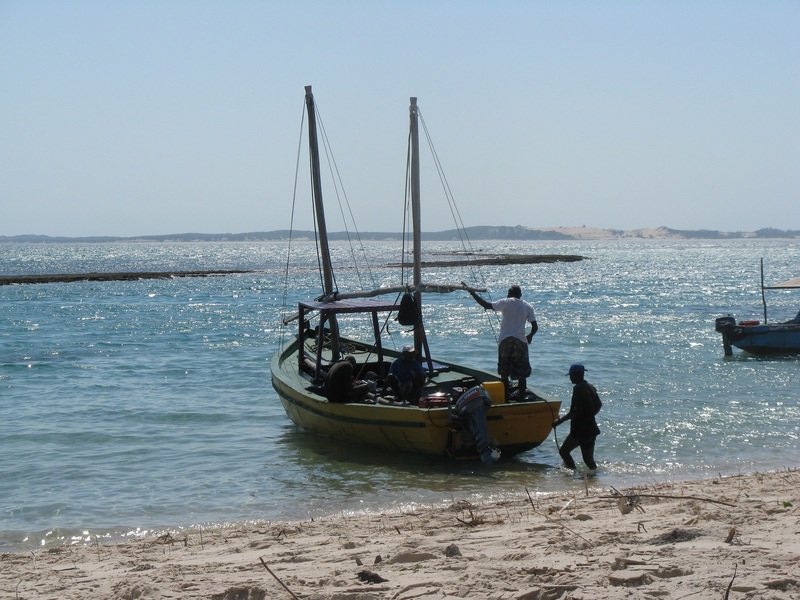 There is a local transport & handling fee from US$120 per person (this covers the return public transfer and the Wildlife Authority’s booking fee). 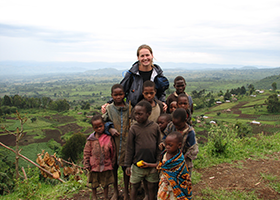 For trekking in the DRC or Rwanda (the trip leader will advise at the pre-departure meeting as to where the permits have been secured, and will assist with the online visa application for Rwanda en-route if needed), we will also have to purchase an additional visa to enter either country, as well as renewing our Ugandan visa upon re-entry. We also advise budgeting a little extra for tips for the local guides and rangers. Please budget accordingly as payment for the permit must be made in US$ cash at the pre-departure meeting. 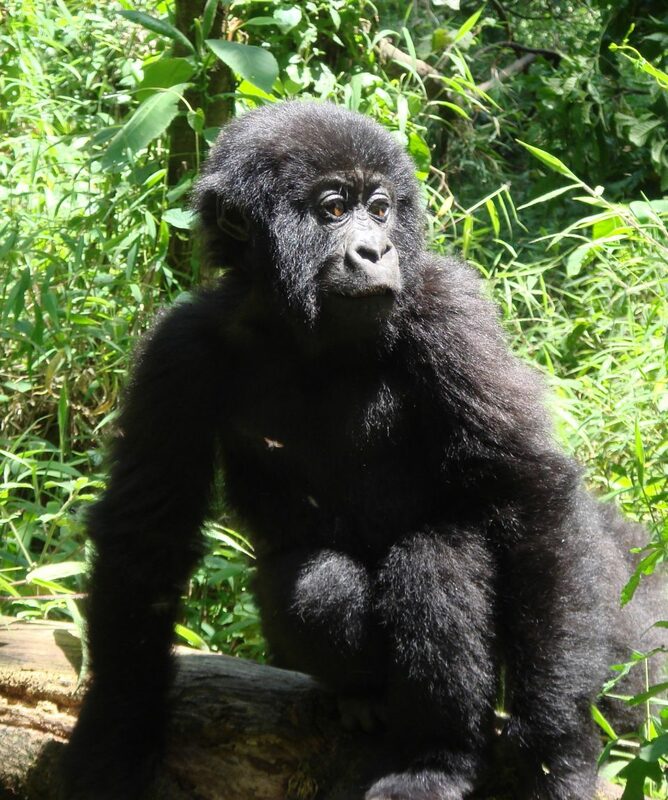 Trekking Procedures: The mountain gorilla (Gorilla Berengei), of which there are still only about 700 remaining, are one of our closest living relatives. A visit to these gentle giants in their natural environment is a unique and wonderful experience – one you’ll never forget. 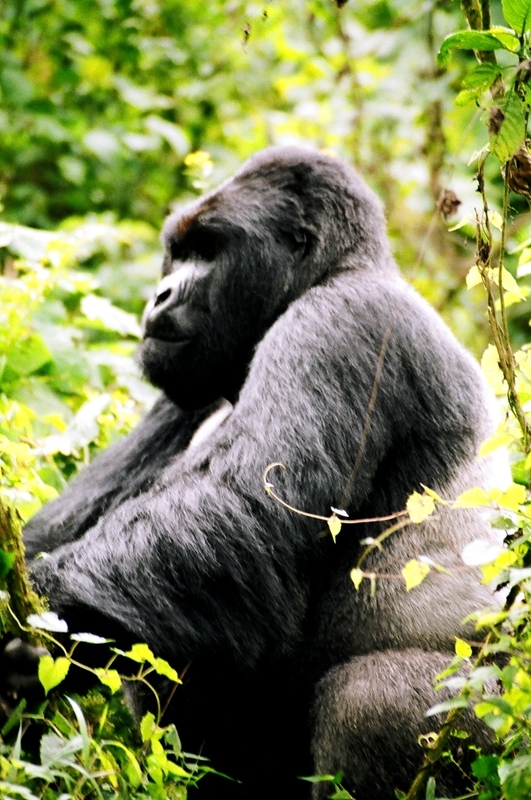 The park rangers monitor the gorillas on a daily basis and have a fairly good idea of where they are. However, they are free roaming animals, and their sighting cannot be guaranteed. As the gorillas share much of our DNA, anyone with even the slightest cold or transferable illness will not be permitted to trek. Trekking is also only open to people over 16 years old. This morning we begin our exploration of the Lake Nakuru National Park – famous for the thousands of lesser and greater flamingos that flock to this soda lake’s edge. The numbers vary depending on the water level, and when it’s low, the lake almost turns pink. A truly spectacular sight! The park was established as a sanctuary for black and white rhino, which are often seen. We spend the day searching for these pre-historic looking beasts as well as the elusive leopard, encountering buffalo, giraffe, various antelope and the occasional hippo along the way. After our game drive, we head to our campsite, arriving in the late afternoon. Lake Naivasha, is home to a multitude of bird life, the most magnificent being the African Fish Eagle with his regal cry. At 1880 m, this is the highest of the Rift Valley lakes. 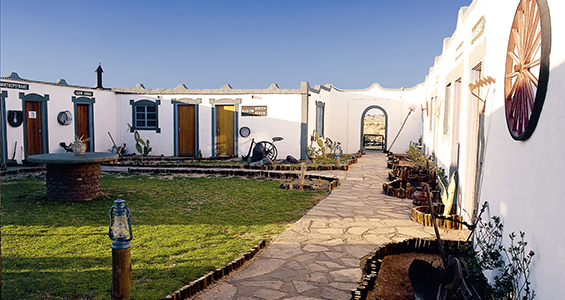 We spend the day enjoying optional excursions like Elsamere (former home to Joy & George Adamson of Born Free fame), a boat ride to the Crescent Island Game Sanctuary or a bike ride around Hell’s Gate National Park. Meals and menus vary as food is purchased en-route, and is subject to produce that is available seasonally in the areas we travel through. As we support the local communities along the way, fresh produce is mostly purchased direct from the producer or local grower and therefore has an organic appearance. Our safari cooks are able to offer a wide variety of menus with the ingredients available, even if the produce on offer is not of the same selection as what you may be used to back home. The breakfast spread consists of bread (toast when time allows), spreads and cereals with a hot breakfast every few days. Lunches are mostly prepared en-route with a supply of ‘build your own’ sandwich ingredients available. Dinners are cooked in the evenings on arrival at the campsite. A wide array of dinner menus is on offer during your safari, consisting of curries, stews, pastas, BBQ’s and even roasts! Our overland vehicles are custom built converted trucks that have seating space for our passengers and a storage area for luggage and all trip equipment. The trucks seat between 27-30 passengers on our camping trips. Most seats are forward facing, though some models have a combination of forward, backward and some inward facing seats with tables. Vehicles have sliding glass windows, and the seating area is raised providing a great advantage for game viewing and photography. Seats are cushioned and there is storage space for personal items like cameras, snacks and day packs in the seating area. All of the tours operated by ATC are participation trips meaning that all passengers are expected to help out around camp. The crew members running the trip will set up a rota system that will be followed. One day you may be on cleaning duty, the next day you may be on cooking duty and so forth. This is not only to make the trip easier for all involved but also for you as the passengers to get to know one another while on trip. 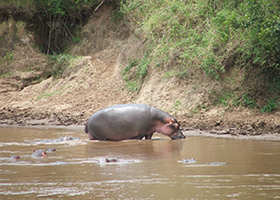 Africa Travel Co is one of the BEST established Overland Safari companies in Africa and is completely African based. © ATC. All Rights Reserved 2017.